Another Twilight show while Koop bounces around Europe. And back on the show again this week, Jason Whiton from spyvibe.com, who is here to talk spy movies and TV. This week, he's looking at The Saint, in honour of the late great Roger Moore. If you've been tuning in lately, you will have heard some wonderful new music from the likes of Michael e, Keren Ann, Alex Cortiz, and !Noj and Spear Oh. Springtime seems to be a good time to release new albums, and we are grateful to support these artists at This is Lounge. Number one this week goes to Jazzy James Jr., followed by Tom Holmes as he's been knocked down a notch, and DJ Maretimo fills in the third position. As mentioned above, new music from Michael e has been filtering through the playlist. 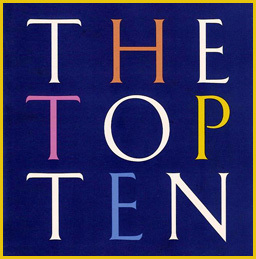 A Nice Warm Feeling has bypassed the Bubbling Under stage, going straight to number ten on the chart, as voted by the staff here at TIL. Another track that almost made directly onto the chart this week is Alex Cortiz's Broken Elevator. A wonderful new lo-fi, downtempo piece that patiently waits it's turn in Bubbling Under. A bit of dreamy French pop comes our way with the title track from Keren Ann's new release, Bleue. Recently added, be sure to tune in and listen for these wonderful new songs. Koop remains on holidays in Europe this week, so we are rolling out the big guns in this week's Twilight show with the very first interview for a band which has been around since the late Nineties but has never done press - Stereophonic Space Sound Unlimited is on the show! Plus, there's swank advice on dinner parties. The weekend has finally arrived! Whew! What a week! So nice to be able to grab a few moments of chill time. The weather is getting better....slowly. But with the sun shining, that's all that matters, right? We here at This is Lounge look forward to Spring, since the sounds and sights of the season are so in sync with the sounds of our humble little station. This week, Soundcloud find, Tom Holmes, finds himself atop the board, as DJ Maretimo slips a notch down to number two. he's followed by labelmate Jazzy James Jr. and Wane of Summer in third and fourth position respectfully. This week also marks the jump of the intriguingly named !Noj and his jazzhop track, Definition of Jazz from Bubbling Under to the number ten position. Welcome aboard! You'll notice that his spot has been taken in Bubbling Under with a new track from him, H.E.A.T., a very cool mix of chill, hip hop, and dialogue samples from the film Heat. I hope you are enjoying this new music along with the tried and true played alongside. With Spring comes some great new releases, including a new one from Alex Cortiz.......looking forward to hearing that. Anyway, thank you so much for your support. I apologize for the moment when we were offline temporarily - technical problems. But we are up and running, so please tune in, and spread the word. Coming up on the show this week, James Spencer. Our very busy author stops by with an interesting book for you. 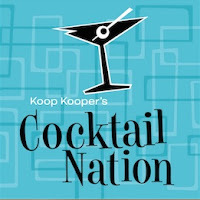 Also, in Dear Koop we head to Ohio for a request, plus we explore the World of Swank Gig Guide. Thanks for dropping by. I hope your enjoying the music. Chillin' when your willin'! 24/7! As the temperature starts to warm up, the music just chills out. That's how it is here at This is Lounge. The Top Ten this week keeps on getting better. DJ Michael Maretimo continues to reign supreme at number one again this week. Tom Holmes' beautiful Evening Jazz 2 floats in at number two, as Wane of Summer rounds out the top three. Nice to see TIL newcomer, Spear Oh, making good headway up the chart. 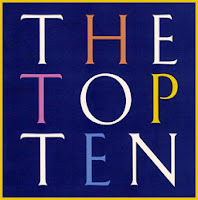 His cool chillhop track, The Bay, is a warm welcome tone to the Top Ten group. If you like the track, or any other Top Ten track, be sure to vote at thisislounge.com. Thanks for all your support. Take us anywhere, and depending what kind of data package you have for your phone, listening is as simple as pushing the "Play" button. Download the Radionomy app from your App store and search for This is Lounge. Mark it as a favourite, and you're good to go! Jason Whiton is back from spyvibe.com to talk about Public Eye. 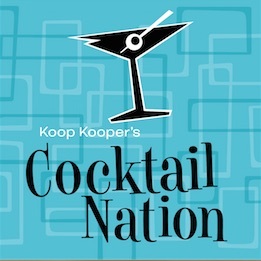 We have some new stations broadcasting the Cocktail Nation, plus a look at the World of Swank Gig Guide with a stack of gigs on the agenda, and in Dear Koop, a new subscriber has written to me.